Supermarkets lure us in with coupons and sales, but once we're inside...POW!...they hit us with the old one-two for a checkout aisle KO. Ultimately, it pays to keep your mental dukes up when you're in the ring, but first you have to know the rules. Here are nine tricks supermarkets like to spring on consumers to encourage overspending, along with ways you can overcome them. 1. Something smells really good. The bombardment starts as soon as the front door swings open. Those mouth-watering smells emanate from the nearby bakery or deli, enticing you to buy the more expensive prepared foods. A grocer in New York City even pipes artificial smells into it's facility to induce shoppers to buy more. The rule, as you've often heard, is to never shop on an empty stomach. 2. Distance makes the heart grow fonder. Ever notice how the things you need most frequently are the furthest away from the door? That's intentional; supermarkets guide you through aisles of the most attractive foods, hoping you'll give in to impulse buys. If you only need one item, it's actually cheaper in the long run to shop at a small market where you'll be less tempted to buy unneeded items. 3. End caps aren't your friend. End caps are the shelving units at the end of each aisle, where supermarkets place "sale" items that aren't always that cheap. They're counting on our preference to avoid heading down an aisle, so we'll just grab an end-cap item that seems reasonably priced. Don't give in; wait until you can comparison shop midst the appropriate aisle. Better yet, find grocery coupons on your smartphone from sites like CouponSherpa.com, and see if the product on your list is available at a discount. 4. Bend and stretch your way to better prices. Manufacturers pay big bucks for prime real estate, usually at adult eye level or, in the case of products marketed specifically to children, on the lower shelves. These corporations shell out extra cash because they know we're more likely to buy something we can see easily. Before you grab the first item you see, take a moment to scan the entire shelf and make sure you're truly getting a good deal. 5. Losing with loss leaders. There's a reason supermarkets advertise such cheap prices on milk, bread and other basics. These under-priced items are known as loss leaders because the supermarket is willing to take a loss to bait you into the store, where they'll make up the difference with more purchases. There's no reason you shouldn't take advantage of loss leaders; just don't let it rule which store you shop and what you buy. 6. BOGO can be a no-go. Deals that offer "seven for $5.50" are designed to confuse shoppers who aren't quick with the mental calculator. The same trick applies to the now popular 10 for $10 game making the supermarket rounds. Bulk buying can be cost effective, but there are a number of variables to consider. You can fool grocery stores at their own game by checking the unit price for competing products and selecting the one that truly offers the best deal. Product packaging is usually mind-bogglingly bright, featuring plenty of yellows and reds because these colors attract our eyes. Between this visual whirl and the bright store lights, grocery shopping can lead to migraines. 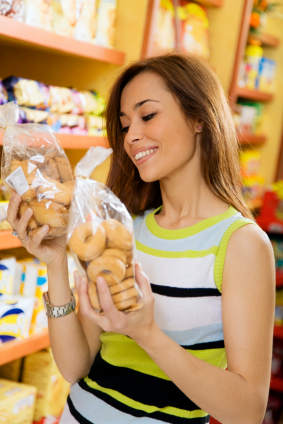 Buying generic brands is one of many ways to combat escalating food prices. Before grabbing the first item that attracts your eyes, look for less-gaudy house brands and compare unit prices. 8. Super sized can equal undervalue. Bigger isn't always better, particularly when a manufacturer increases package size while hitting the contents with a shrink ray. This practice has become particularly popular in recent years since you're not really expected to check whether a box or can is full. Give it a shake or visually compare product contents. 9. The checkout stand is a supermarket's last chance. The checkout aisle is akin to its own mini mart, featuring all kinds of impulse buys. Supermarkets know we're a captive audience, so they squeeze in everything and anything that might grab your attention and add to the final bill. Distract yourself by reviewing your grocery list, a tangible reminder that everything you need is already in your cart. 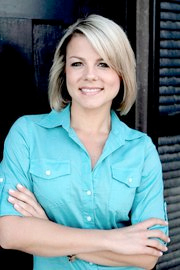 Andrea Woroch is a nationally recognized consumer and money-saving expert for Kinoli Inc.